Why choose Pacific Partners Insulation North? Integrity, knowledge and excellent service – these aren’t just words, they represent how Pacific Partners Insulation North does business. Whatever your needs, you can trust us to offer high quality products and service. A variety of services – from insulation to blinds, Pacific Partners Insulation North can help you improve the energy efficiency and aesthetic of your home or commercial building. We install fiberglass, rigid board, and rockwool insulation. We install high-quality insulation in new and existing homes as well as at commercial sites. Let Pacific Partners Insulation North help make you more productive and more efficient. 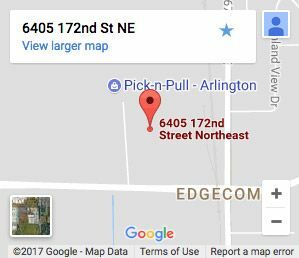 We are committed to offering the best insulation products and services in Arlington, Washington. Whether you’re a contractor or a homeowner, we can help you with all your insulation projects. Adding insulation can benefit residential and commercial buildings by helping cut energy costs and maximize efficiency. Insulation can help enhance the energy efficiency and overall comfort of your Arlington home. We have the experience and expertise to help you choose the ideal insulation material for your residential project. We offer quality insulation products and services for your commercial building in the Arlington, WA area. You can rely on our team of professionals to meet all your commercial insulation needs. The team at Pacific Partners Insulation North wants to make your life easier and your home or commercial building more comfortable. Contact us to learn more about our insulation services! To receive a free quote or schedule your insulation services in Arlington, Washington, call 360-386-6143360-386-6143. Pacific Partners Insulation North is a leading installer of commercial fiberglass, rigid board and rockwool insulation. 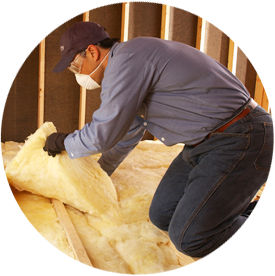 Pacific Partners Insulation North provides home insulation removal services. 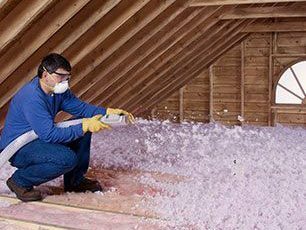 Whether you’re a homeowner who needs attic insulation removed and replaced, or you’re a contractor looking for insulation wholesale products, we can help—give us a call or contact us online. We’re looking forward to working with you! Welcome to Pacific Partners Insulation North, your source for professional insulation and more. Builders, contractors and homeowners throughout the Arlington area depend on us for a variety of products and we are proud to serve them. You are about to leave this Pacific Partners Insulation North and enter a third-party site. Pacific Partners Insulation North and Installed Building Products have no control over, and accept no liability, obligation, or responsibility for, the contents or performance of other websites. Any such link does not constitute an endorsement or any representation regarding, the linked website, its content, its owner, its performance, its owner’s products or services, or any forward-looking statements found in.